Home from the Hospital in a Porsche! 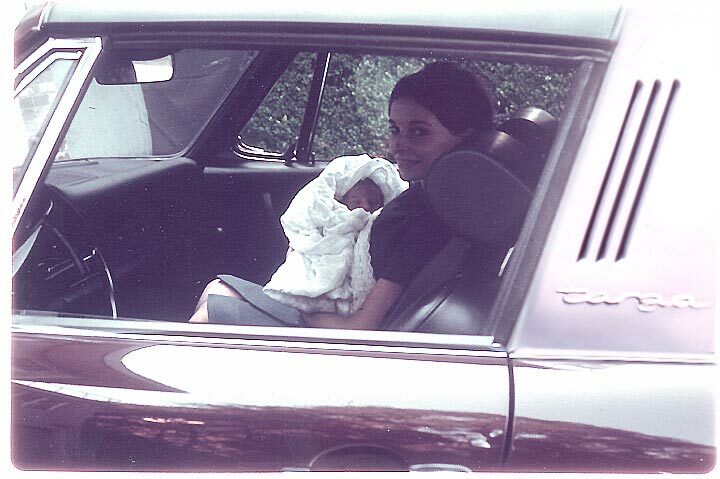 Here, we are returning from the hospital after I was born. My dad picked us up and drove us home in their new Porsche. I came into the world on Novermber 9, 1969. This photo was taken on November 12, 1969. My first car ride was in this Porsche 912 Targa! That probably explains a lot about my driving.